Anna and Wendy discuss episode 19 of Chronologically LOST, Episode 019 – 2002-2003, featuring the first and third of the season 5 time shifts, Faraday explaining being dislodged in time, Eko ‘rescuing’ Yemi’s church from the bad guys, Kate not doing taco night and setting up a bank robbery to get into a safe deposit box, Jack getting too involved in a surgical case, and Inman painting on the hatch lockdown doors. Podcast length 1 hr 43 min. Anna and Wendy discuss episode 18 of Chronologically LOST, Episode 018 – 2002, featuring Jack’s marriage to Sarah, Kate’s marriage to Kevin, Sawyer conning his way out of jail, Juliet’s growing relationship with Goodwin, Eko’s plan to transport drugs on the beechcraft, and a season 5 time shift (hello, Frogurt; Sawyer, meet Faraday). Podcast length 1 hr 25 min. Anna and Wendy discuss episode 17 of Chronologically LOST, Episode 017 – 2001-2002, featuring Desmond’s introduction to Kelvin Inman and the mission of the Swan station, Juliet losing two women, meeting Goodwin, and essentially being blackmailed by Ben, Charlie and Lucy and the fateful job selling copiers, and Mr. Eko moving heroin. Podcast length 1 hr 14 min. Never Let It Fade Away: LOST action figures by Todd McFarlane – Series 1 featured Jack, Kate, Locke, Hurley, Charlie, Shannon, and the opening of the Hatch; Series 2, Sawyer, Eko, Sun and Jin. 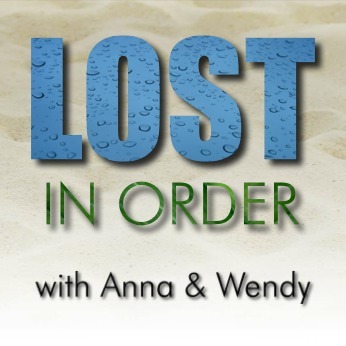 Anna and Wendy discuss episode 16 of Chronologically LOST, Episode 016 – 2001, featuring Juliet’s transition from her sister’s bedside to the Island, Kate meeting Cassidy and finding a way to talk to her mother, and Desmond’s arrival on the Island. Podcast length 1 hr 28 min. Never Let It Fade Away: Final Season of ‘Lost’ Promises to Make Fans More Annoying than Ever – The Onion does a great ‘news’ piece on LOST – even including a clip of Damon and Carlton – on January 18, 2010, just prior to the start of season 6.